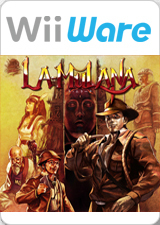 Are you ready to survive all types of traps and discover all the secrets of La-Mulana? La-Mulana is the most complete "archaeology action and exploration" game ever created. Take control of Professor Lemeza and his inseparable whip to discover the mysteries of Humanity! Face all types of traps, enemies and Guardians in the greatest adventure ever created for WiiWare. In La-Mulana you will explore vast temples and, most importantly, you will have the feeling of total immersion. Each mechanism, trap or puzzle you solve will be a great achievement. The graph below charts the compatibility with La-Mulana since Dolphin's 2.0 release, listing revisions only where a compatibility change occurred. This page was last edited on 4 March 2018, at 08:49.